As your series has a prequel novella attached to it “The Promise” – how did you first outline how you wanted to approach writing this series? Did the story within the novella highlighting Elena come first or did you write the first novel before you addressed Elena’s part of the story? Maroney responds: In my very first draft of The Girl from Oto, Elena was a little girl growing up with her adoptive mother, Maria, learning at her elbow as she traveled the wild Pyrenees mountains dispensing herbal remedies and helping babies into the world. I wrote their story long before I began writing about Mira de Oto, who is the heroine of The Girl from Oto. The Girl from Oto was originally going to be a standalone novel, but my story just exploded and I soon understood that it would have to be a trilogy (Mira’s Way is Book 2, and I’m working on Book 3 now). As much as I loved Elena’s story, I realized The Girl from Oto would be far too long if I included all that backstory, so The Promise is a way to deliver more of Elena’s story to readers and set the stage for The Girl from Oto. Ooh this is why we have “The Promise”,… I am hopeful this story will either go into a print edition or an audiobook down the road as I would truly love to hug inside Elena’s back-story – she was one of my first favourite characters of the story as it started to unfold and there was such a richness of character within her sections; I truly would have loved to have had this story in my mind before I entered into Mira’s story but sadly ebooks are just not in my life. I would have definitely read this if “The Promise” had been an inclusive “First Book” within “The Girl from Oto” – even if that would have lengthened the novel considerably as Elena plays such a cruicial role in both Mira’s own journey and in the back-stories of how everything is situated in this world of theirs. After all there are bigger chunksters in Speculative Lit! I truly do love a wicked good ‘big novel’ and I regret I didn’t get to know Elena more than whom she was in this first installment of the trilogy. What originally inspired the foundation of the Miramonde series? Was it your love of art history and the curators who protect the art through the centuries or was it something inter-related to the art world? How did you develop your central lead character of Mira? Maroney responds: I was lucky enough to spend most of a year traveling through Europe with my family when our two daughters were 9 and 12 (this was in 2011-2012). During that time I became obsessed with the lost stories of women who have been ignored or erased from history. I love art and take drawing and painting classes regularly, so it was a high priority for us to make art history part of our “roadschooling” curriculum for the year. We visited many museums full of portraits of long-dead people, painted by long-dead men. I wished those paintings were relevant to my daughters, and I wished more of them were made by women. Then I was lucky enough to visit Oxford University and see a 16th century portrait of a woman that had been painted by a female artist. So there were women painters in those days! I started researching Renaissance-era female artists and learned that many of them were nuns or spent time living in convents. This is where I got the idea to have Mira grow up in a convent, because it was one of the few avenues women artists had to learn their craft and to produce art. I did a lot of research in museums and libraries in Europe, plus most of my settings were inspired by places we visited. I didn’t quite know where Mira’s world would be until we stayed in a medieval tower in the tiny village of Oto in Spain and I learned about the fascinating history of the Pyrenees. Ooh my goodness! I would have loved to have gone on a travelling expedition like this at their ages – I started studying art at seven and I loved Art History but didn’t get to study it in school inasmuch as I was passionate about it. I am self-examining it now as an adult as much as I could spend as many hours in museums and galleries as I do libraries and book shoppes – the pursuit of art was solidified as a child due to my parents strong influence of being inspired by fine art, Native American art, pottery, glass and other mediums of interest whilst my maternal grandparents focused on Japanese art, music and culture. I had a lovely triple focus as a child – where I would seek out modern, Native American and classical art (all mediums) whilst I also sought to seek out my own styles which percolated an interest in my own heart and soul, too. This is how I came to find Ethereal, Vintage and Fantasy artists whilst developing a fierce passion for spun glass, vintage glassware and china; triptychs and sculpture. I think you would not have been able to extract me from those libraries in Europe!! I literally can disappear into a large library for such a long period of time without resurfacing I might accidentally stay over during the night if they didn’t flicker the lights! I love how this whole saga was spun out of your own adventures and your own curiosities to seek out the knowledge which would lead directly into the story you would begin to tell. It is such a dearly organic approach and I am thankful you have shared it. Especially how you discovered Oto and the ways in which you began the curious back-histories of Mira’s story. Art, life, travelling and the joy of ‘experience’ is what really fuels our creativity – what surprised you about how this series developed after you took a sabbatical to travel and curate new experiences with your family? Maroney responds: I think getting out of my day-to-day world and immersing myself in new cultures and landscapes is the best way to get my creativity flowing. It’s when I’m traveling that ideas come to me and my mind opens up to imagination in a huge way. Researching and writing the books is a gift: it gets me back in touch with that creative spirit and lets me relive the adventures we had during our travels. The more time that goes by, the more grateful I am that we had that experience as a family. It has shaped us in so many ways. It’s an anchor for us as we move through changes in our lives. As the kids grow older and leave the nest, we always have that year of travels to remember together. I couldn’t agree with you more! Whenever I am actively engaged in living experiences and adventures ‘elsewhere’ from whence I live, I find myself increasingly creative and inspired to ‘create’ something of my own. I also find the more you travel and find the immersive experiences your describing the more you re-tune and re-discover your own well of creativity to be not just restored but revived in a way it hadn’t been previously. All of our hours in some way knit back a piece of our creative heart and I also agree how being a writer is a gift we renew within our own souls. It is interesting how you mentioned travelling as a family serves as an anchour lateron – I can attest to this from my own explorations with my parents. Those earlier memories of our holidays and getaway weekends were the best as it allowed us to explore the world together; to see new things and to have those adventures as a family. I can definitely agree that the younger you travel with your children the more they appreciate the discoveries lateron. What do you love most about reading time shift narratives and how did those other stories inspire you to tackle your own? Maroney responds: This is a great question because I’ve always had strong reactions to time shift narratives. Usually I like one narrative better than the other, and sometimes I’m disappointed with a book if I find one of the narratives less interesting than the other. So as much as I felt this story needed to be told with two narratives, I was worried about losing readers’ interest. Mira’s story (the historical narrative) forms the core of The Girl from Oto and the subsequent novels in the series. Zari’s story, set in the present day, bounces off Mira’s tale and is woven throughout it. One book I used as a model was People of the Book by Geraldine Brooks. I also loved All the Light We Cannot See. I think I’ve been pretty successful with the dual narrative. More people tend to love Mira’s story (especially historical fiction buffs who don’t want modern tales impacting their reading experience), but there are a lot of readers who find Zari’s detective work fascinating. I interviewed art conservators and worked hard to include lots of details about the amazing ways we can see underneath layers of paint these days, as well as the ingenious methods art history researchers use to track down information about people who have been dead for five hundred years. At first, I was in the category of readers you were mentioning – about being wooed by the historical narrative and the piercings of Mira, Marguerite, Beatrice and Elena’s story-lines – as they were so wholly intrinistically ‘real’ to me – they breathed breath right off their pages and re-adjusting into Zari took a bit of time as although I knew I would enjoy seeing her instincts for tracing long-lost ancestral knowledge and provenance of art as I’m one half of the Ancestry Sleuthing team in my own family (Mum being my right hand in this pursuit) – I was just delighted and smitten by how you brought Mira’s century to life. You grounded us in such an emotional capacity for depth and breadth, I had to remind myself this is a ‘time shift’ and I need to re-adjust back into the present or I’d lose the chance to ‘meet’ and ’embrace’ Zari. As I wrote my ruminative thoughts, I think it comes out how I am leaning still a bit in Mira’s century but I did embrace Zari as without her the truthfulness of Mira’s legacy would be still lost. I also agree with you about the curious ways in which lost and/or hidden histories can become restored as much as the artwork which needs the curators. There is something wickedly delightful about re-tracing origins of things – from people, to art to the missing stories behind the people who once lived out of history’s more historic events or moments. All of history is alive – it is simply up to those of us who are in-tune with historical murmurings to re-attempt to restore what is either misplaced, lost or left unknown for the generations who have lived since those moments first happened. This in effect is why I love reading Biographical Historical Fiction, Feminist Historical Fiction and the general bracket of Historical Fiction – as it knits you closer to History’s doorstep and you become an intrepid time traveller. How did you anchour the story through two timescapes and through two independently unique women? Maroney responds: The trickiest part was weaving the two narratives together in a way that did not detract from the pacing and tension of either story. Mira’s story dominates, but Zari’s has to be equally dramatic and she has to come alive on the page in fewer words than I could devote to Mira. I worked with a lot of beta readers in addition to an editor to find the right balance. I think you mastered the art of the dual timelines and you definitely convinced me of how important Zari is to the heart of the story as again without Zari, your Mira would not have resurfaced in the present and that would be a tragic loss. I liked how you endeavoured us to consider the work Zari was doing was for the greater good and how her personal passion to root out Mira’s story and legacy was truly something everyone should champion because of what it meant for creative economnists who are women. What is your favourite passage from the series thus far published? And why? Maroney responds: In The Girl from Oto, I love the scene when Mira is born, and then when Mira escapes from Castle Oto later in the book. I also love the scenes when Zari first meets Wil in Amsterdam, and later when she is on the Camino in the Pyrenees, chasing after Mira’s traces. They’re all very moving scenes to me because they give us a window into the souls of my characters, plus they’re spine-tingling and thrilling to read, in my opinion! It wasn’t just when Mira was bourne for me – it was the whole journey Elena took with Mira in order to reach safety. To me, that ride they endured was one of the first thrilling sequences I read and it set the stage for what would be developing next for Mira! She had to be courageous so dearly young but also, courage found her as an infant which seemed to strike the chord of her person throughout her life. What did you find exciting about making this series a Historical Thriller? What did you want readers to remember most about their journey with your characters? Maroney responds: I love thrillers and mysteries. I’m a big fan of Henning Mankell, the Swedish crime novelist. I don’t think a book’s subject matter should affect its ability to be a page turner. So when I embarked on this series, I wanted the books to be entertaining, fast-paced reads that also teach people a bit about history and art, in particular the silenced stories of women artists. I hope readers will fall in love with my characters, escape to another world for a few hours, and learn a few things about art history in the process. OOh a new Swedish Thriller writer? I have only previously read Joakim Zander and have wanted to seek out others like him. I’ll have to see if Mankell would be a good fit for me as I am also trying to read more by Zander this year as well. I believe you’ve accomplished your mission in what you wanted readers to find within this story — for me, it was all of this and so much more which left me not just rooted inside your world but anxious for the next chapter, the next moments I’d have to spend with your characters. How did you first ‘meet’ Historical Fiction (as I know you’ve been a reader for as long as I have been; each of us enjoying our local libraries with a fierce passion) and what was it about this genre of insight into the past encouraged your readerly heart? What did you love most about time travelling through time in other words? Maroney responds: My family lived in Germany when I was in middle school (aged 12-14) and I became a voracious reader of Historical Romances, mainly because the few English language bookshops we encountered seemed to be bursting with them! Since we were in Europe visiting museums and castles, I became obsessed with royal histories and got into a serious Philippa Gregory phase. Also because we were in Germany, I read a lot of World War II-era novels. As I grew older the range of eras I found intriguing expanded, but I can trace my abiding interest in Historical Fiction to that period of my life. I love this!! As each of us has our own passageway to walk through into the historic past – mine was developed through picking up Regency Christmas Romance anthologies and also spying several Historical INSPY Rom stories which were set in the West. I had a particular interest in Westerns and Cowboy Fiction stories growing up as I was a young equesterian – however, from there I took a rather haphazard jaunt through History – alighting in the Regency & Victorian eras predominately before shifting through different time portals. My most voracious discoveries though were yet to come – as when I became a book blogger, Historical Fiction really opened up to such a wider net of plausiblities as I could not only seek out Major Trade but Indie novelists to where I think being a blogger not just benefited me as a writer but as a reader who wanted to deepen her readerly life. If you had asked me prior to 2013 how important Historical Fiction was to me, I might have been surprised of the question as I hadn’t realised how much of it I devour per year til I blogged! On a personal note, my father had a bilateral moderate stroke two years ago the weekend of Black Friday; he ended up needing carotid artery surgery and has made marked improvements in his health since the weekend which changed his life and ours. I loved how you said you decided to change your life because sometimes life has a way of affecting how we see our lives and our futures; do you think you would have developed your own stories if it hadn’t been for your stroke as you seem to hint it became the catalyst for personal change? Maroney responds: First, I’m sorry to hear of your father’s stroke but heartened to know he has recovered well from his experience. And I can honestly say I would never have written these books if I hadn’t had a stroke (caused by a carotid artery dissection) and subsequent surgery. The stroke happened a few weeks after my 40th birthday and I had just begun writing my master’s thesis for a graduate degree in public policy. In the aftermath of the stroke and my recovery, I went through profound personal changes and the upshot was, I realized I didn’t have as much time on Earth as I once imagined. I had always ignored the call to do creative work in favor of more practical pursuits (I was a nonfiction writer and editor most of my adult life, although after our children were born I did that part time along with lots of volunteer work in my childrens’ schools). The public policy degree had never been a passion for me. I decided to do what I loved instead, and see where it led me. My husband and I also decided to make our long-standing dream of travel with our children come true. That travel gave me the inspiration to write Mira and Zari’s stories. Now here I am writing the third novel in the Miramonde Series. And I’m also one of those people who never finished my master’s degree—but the silver lining is, I became a rip-roaringly good researcher during all the years of study, which I now put to good use for my fiction writing! I had to smile. Life has a way of taking us where we need to be rather than where we first aspire our path to lead us. Thank you for your kind remarks on behalf of my Dad. I had a feeling your stroke was a personal catalyst for radically changing your life and the path you were walking – it is interesting too how it wasn’t the degree which was most important to pursue but the cultivation of how to research and dig out the stories you wanted to tell. Life is funny that way – we can walk towards a goal we dearly believe is our life’s mission to engage and pursue and then, there is a moment where we take stock of our choices and recognise – hmm, perhaps we were meant to walk a different path entirely? What do you love the most about being Independently published and what is one challenging aspect of it you’d like to encourage fellow writers not to let dissuade them from pursuing it? Maroney responds: I love that I have complete creative control over my work (though I rely on the expert advice of a very skilled editor, plus a team of other professionals who help make my books what they are) and I’m in charge of all the aspects of publishing and marketing my books. I think the nature of this work is that juggling all those hats and doing it mostly alone can be lonely and, at times, demoralizing. I think finding mentors and colleagues (even if they’re people you only interact with online) is essential. I also help other indie authors as much as I can. The words “Just keep going” are on constant replay in my mind. Celebrating every small success helps me stay in the game, because this is a very long game and I’m only at the beginning of my journey as an independent author. My advice to others would be the same: find mentors and colleagues, celebrate the small successes, help each other, and just keep going. This is partially why I’m an Indie myself and why I’ll be pursuing my own Indie career once I complete my own manuscripts. I didn’t always broadcast it over the past six years (still have to pinch myself my sixth blogoversary is the 31st of March and my sixth blog’s birthday is the 6th of August this 2019) but I’ve been moonlighting as a book blogger as I’m a writer whose been wanting to re-align back into her own writings ever since I won Nanowrimo in 2008. This is the first year where I have felt I can make positive progress towards that goal but is how I’ve grown as a writer by blogging about the stories I’m reading I am appreciative the most. Being an advocate for authors and libraries is just icing on the cake, truly! I love championing both of them! Hmm,… I do oft hear this quite a bit especially in the Indie writing community but I don’t personally relate to some of that sentiment. The demoralizing aspect in particular though I do run into a lot of pushback IRL by those who still do not consider artists, writers, musicians or artistians bonefide career choices – I think the arts have always been under fire by certain groups – so that just felt par for course though in truth there are moments where it is more irking my ire than hurting my feelings over their ignorance. 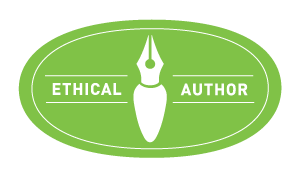 I do look forward to the day where those of us who are Indies don’t have to preface all our disclosures of being an Indie Author with the standard disclaimer of “professionally edited”, etc, etc as honestly I have never once met an Indie Author who wasn’t professional and/or professionally edited. I know Indies have a lot to defend in this technologic age of publishing but honestly, it is growing old everyone feels they have to defend their professionalism. I recently tweeted about being a tortoise when it comes to writing – it reflects a lot about how I approach my own writings but also my mental outlook, too. Being a migraineur whose had her migranes increase proactively in six years any small foothold towards seeking out a piece of my own writings offline in pursuit of developing a manuscript is an ace in the hole. This is the first year I’ve decided to get more on paper than just idle thoughts, musings and ideas – to where I can find better focus as this is also the first Spring I’ve not been cut down by my seasonal allergies and/or fierece migraines – so in many aspects, I agree with you. It isn’t the hares in the world who always reach their goals, it is also the tortoises who are wise to realise it is the quality not the quantity or speed which counts in the end. What was the hardest part of finding the intersection between living histories and the historical antidotes you’ve interlaced into your series? How did you find the balance between the fiction, the imagined and the real history? Maroney responds: As a nonfiction writer, I struggled with fiction at first. I’m so used to double- and triple-factchecking. Plus, I want to be true to history and faithful to the historical record. On the other hand, history is full of holes. There are infinite untold stories, silenced stories, stories that were interpreted by historians in ways that deviate from the truth. This gives me a measure of freedom, despite my anxiety about “the historical fiction police” looking over my shoulder. I love to weave imagined stories with tidbits from history, and I have a few real people in my cast of characters (for example, Gonzalo Fernández de Córdoba, a military leader under King Ferdinand and Queen Isabella of Spain in the late 1400s/early 1500s). I can definitely respect how this would be true – to shift in tone, voice, style and presentation of your words and ideas would be a radical shift from Non-Fiction to Fiction just on the surface of it but I would imagine also in the research and the planning of how you wanted to conceive the stories as well. Non-Fiction is its own universe in literature inasmuch as Fiction and Poetry. Ooh isn’t that the truth? For everything that is readily known about History there is a heap of ‘lost unknowns’ and uncertainities! This is again why I love Historical Fiction and the novelists who are penning the stories I am loving to read! We get to re-enter those doors, re-alight in those centuries and re-view what was once thought to be scattered to time and lost from sight. I am a bit more lenient when it comes to the purity of Historical Fiction – I hadn’t even realised there were those readers who were really strict when it came to timelines, living persons and bonefide events as they parlay into a historical narrative! I learnt quickly as a book blogger that for whichever reason those readers like the tv series watchers who find all the ‘issues’ with context in a tv series that I shall occupy a passageaway adjaccent from them! I mean, truly – unless it is something truly non-linear to the world or the order of the era itself (unless its alt. history or a SpecLit sequence) I’m quite agreeable. I know there are liberities taken (as much as there is in film!) and that is alright with me. If it hugs loosely or tightly to known history – honestly, it is the story, the characters and the world-building I am looking more critically close to seeing being lit alive. If a writer can grab me emotionally and leave me rooted in their vision – that is all I am asking and seeking to find! As this is written as a trilogy with a prequel novella – what can you share about what comes next? It is hinted on your blog this third and final story might not be the absolute final story in this legacy of women? Do you plan to write a secondary arc inside a new series or continuing a portion of the series in a different set of stories? I was curious what you were developing next after resolving our time with Mira and Zari? Maroney responds: I am currently working on Book 3 in the Miramonde Series (I’m still undecided about the title—such a hard decision this time around!). It just came back from the editor and will be published this fall. I’m also preparing a series of short stories related to characters in this world. The first will be the story of Carlo Sacazar as a young boy. Other projects related to the series are still in the development phase, but I have a feeling my characters aren’t quite done with me yet! Ooh my! The series is going to be expanding – I hadn’t had the chance to re-direct a few questions back to you – this is another one I wish I had been able to re-direct. If there is a series of shorter stories – shorts, novellas, etc would those then lateron be assembled into an omnibus print edition and/or be considered for audiobook releases? I was trying to sort out how to read the rest of the inbetween stories and bypass the ebook route. When you’re not writing or researching your stories what uplifts your soul the most? Maroney responds: I am happiest spending time with family and friends, hiking, reading, swimming in lakes in the summer, dancing, drawing, gardening, traveling, and laughing as much as possible. Ahh, there is nothing truly as soul lifting as being amongst family — hiking in the natural world, digging into a book which gives us a wicked good entreaty into a character’s life or travelling to a places which leave us awe-inspired! I also love to draw but would love to have a drawing teacher to help me develop my style further. Gardening is a pursuit I never could undertake where I currently live due to the conditions of the soil (oy,..) and ooh my! Without laughter and humour – we’d all be shortly in the grave! PS: If I lived elsewhere I’d seek out a river without whitewater for kayaking and/or canoeing in Spring and Summer. I am very appreciative of the time Ms Maroney took to answer to my questions – sharing her writerly heart and insight into the Miramonde series! I look forward to seeing what becomes of these characters as we await the second and third installment of the series but also, after this concludes, I can’t wait to see what develops next from her imaginative mind as she has such a keenly intriguing style of narrative, I know I shall be reading her stories for quite a long time! 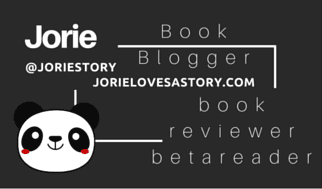 Earlier this week during #HistoricalMondaysduring #HistoricalMondays I revealled my review! I had such a wicked heap of joy being involved in this blog tour – I look forward to visiting with my fellow book bloggers to see whom on the tour route found themselves as dearly connected & anchoured inside this story,… it has become one of my favourites of my recent Historical reads & the best bit is finding a new author I an champion and follow as they continue to write the stories I love reading! I'm happily celebrating the #HistFic #amwriting styling of @wilaroney wherein we have a delightfully engaging convo about #HistoricalFiction & #timeshift narratives! « #PubDay Author Interview | Chattering about her debut #SwoonReads Contemporary YA Romance “Small Town Hearts” – Jorie interviews Lillie Vale!